Is your closet more chaos than couture? More cluttered corner than walk in wardrobe? Now every spring we wipe off the cobwebs of winter, and we give the place a bit of a spring clean. 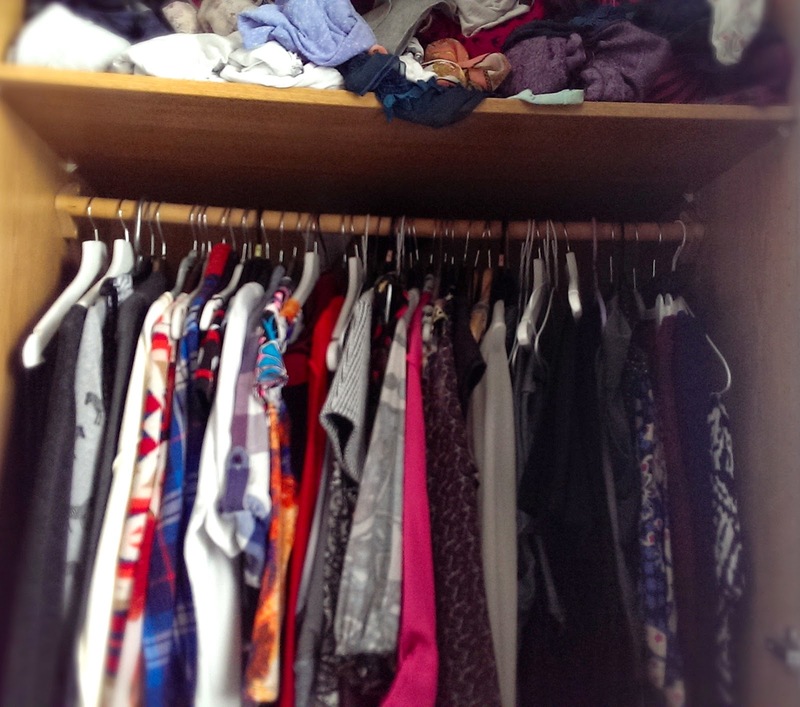 But when was the last time you gave your closet a spring clean? Here are my top five tips!! No one has enough space for absolutely everything they own!! If you do, wow I am jealous! But most people don’t, so to maximise the space you do have be smart. Now the weather has started to warm up I will do my seasonal switch. This means taking all those thick bulky winter coats, boots, scarves, hats and gloves, storing them somewhere safe and dry. Store them somewhere warm and dry, I use our loft and big plastic sealed boxes. I label each box, coats, boots, scarves etc. That way I know exactly where everything is. But, the fun bit, I also retrieve all my summer season bits. All my sandals, flip flops, light coats, come out to play! It sounds super obvious but a little organization goes a long way! Us girls are all a bit guilty of getting ready for a day and chucking the left over outfits in. But, if you can take the time say once a month to give your wardrobe you will be thanking yourself so much. There are two ways to go about it, firstly colour coding! This is something my OH does amazingly so here's a sneaky peak at his. With a great colour system you can open the doors, and see what options you have in the colour palette you want. Don’t think the colour system is for you? How about organised by occasion? So, from casual across to party. You could use catergories such as relaxed, casual, everyday, day out, evening out, party, formal, wedding, interview. You can walk up, what occasion does it need, bang! The left side shows me what I have to wear. Need extra space? You need the 6 month rule! If you haven’t worn it or used it in the last 6 months, it goes! If you’re not going to use it or wear it in the next 6 months, it goes! You've got to be brutally honest with yourself for this to work best, you will be amazed how much space you can make! Is the 6 month rule a bit harsh for you? Try the coat hanger switch, it will give you accurate measure of what you actually wear! Go to your closet, turn all your hangers backwards, every time you wear something replace the hanger the correct way. At the end of a month, or six months have a peak at what items you haven’t worn! 5. Invite a friend to help you out! Ever really stuck what to wear, or what to chuck? Ask a friend to come over and help! Open a bottle, or get the kettle on for a cup and start experimenting. Ask them to put together an outfit you would never choose, or what their favourite thing to see you in is. 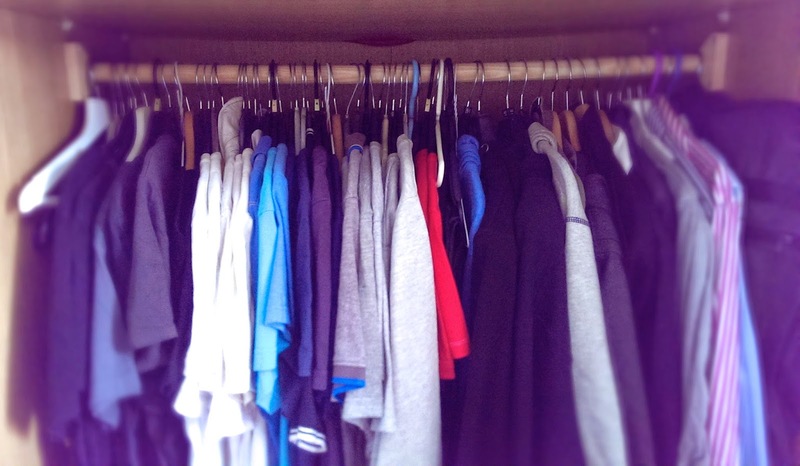 Those are my top 5 tips to give your closet a spring clean! I hope they will help you have a trouble free transition into the season of sun. And this was Beth guys, I also wrote a post for her on her blog! Follow her, she’s so nice! Here is her twitter. I'm so happy you liked it and found it useful - however, you should thank Beth who wrote this post … :) hope you'll keep reading (and enjoying) my blog!